Cactaceae (Britton & Rose) 3: 86 (1922). Echinocactus melanochnus Cels ex Labour. Sukkulenty 4(1-2): 49 (2001 publ. 2002). Copiapoa marginata (Salm-Dyck) Britton & Rose: short columnar clump-forming cactus up to 60 cm tall with dirty-grey-green stems. Distribution: Antofagasta to Caldera. 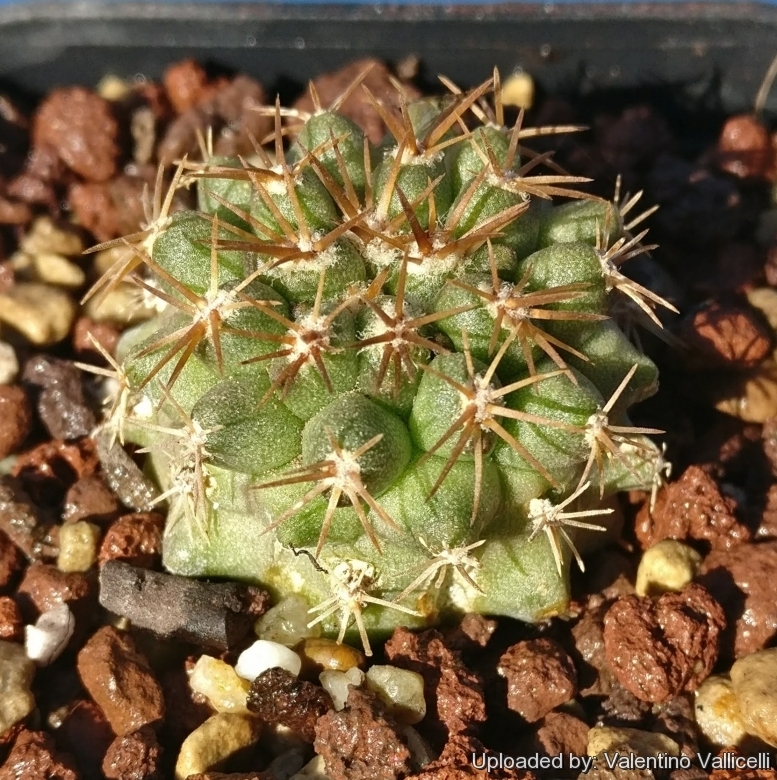 Copiapoa streptocaulon (Hook.) Oosten: stems upright, columnar-cylindrical up to 50 cm tall, forming a somewhat open clump. Distribution: Morro Copiapo, south-westerly from Caldera.